So I've installed Microsoft Office 2019 and found some Office 2016 leftovers in it. The first one is in Control Panel. I have Outlook 2019, but the Mail CPL says "Outlook 2016". The second one is in Devices and Printers. 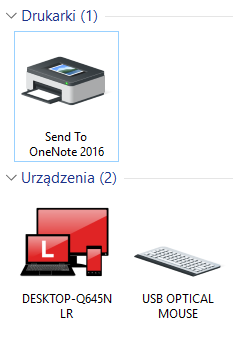 There is a printer named "Send to OneNote 2016", however I cannot find OneNote in my Start Menu, but I still decided to include it. There are also some events related to this device, so I decided to include the configuration event. 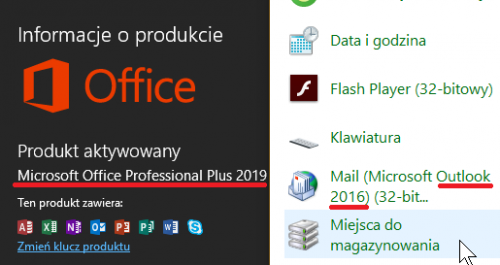 I am curious if Office 365 has the same stuff as Office 2019. Looks like they've forgot to change the names of the printer driver for it and the Outlook Control Panel applet. Which doesn't surprise me as Office 2019 is basically Office 2016 after a bunch of Office 365 updates. Do Not Make Illegal Copies Of This Signature. Couldn't it be the same deal as with "Backup and Restore (Windows 7)" in Windows 8 and newer? They could have kept the old settings dialog for compatibility purposes, while a new one has been introduced to replace it. Microsoft came out a while back and stated that there wouldn't be a OneNote 2019, thus is why OneNote 2016 is included. Did you upgraded from Office 2016? I fresh installed Office 2019. I did not upgrade.